On August 27, 1944, Ruth May Wassell shattered a bottle on the hull of a new ship and christened it the U.S.S. Little Rock. 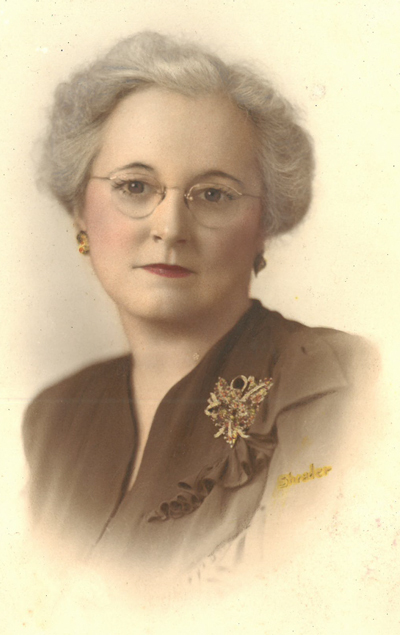 Mrs. Wassell, whose husband was Little Rock alderman Sam Wassell, had been designated as the official sponsor for the City of Little Rock by Mayor Charles Moyer. Details are vague as to why Mayor Moyer designated Mrs. Wassell for the honor. Her husband was a first cousin of World War II hero Dr. Corydon Wassell, which might have had something to do with it. Ruth May Wassell was more than the wife of a local political leader. The daughter of Dr. and Mrs. Wiley Singleton May, she moved from Gurdon to Little Rock with her family and graduated from Little Rock High School. She later graduated from Henderson-Brown College and received a law degree from the University of Arkansas. In 1932, she was admitted to the Arkansas Bar and later was admitted to practice before the Arkansas Supreme Court, one of the first women to receive this designation. Mrs. Wassell was active in business, serving as president of the Arkansas Lumber Company and owner of a citrus farm in Texas. She was also active in civic affairs through involvement with the Arkansas Democratic Women, Boys Club and Second Presbyterian Church. From 1947 until 1951 she was First Lady of Little Rock when Sam Wassell was elected as Mayor. Following the December 1954 death of Mayor Wassell, she subsequently married E. W. “Bud” Gibb. She died in 1964. This entry was posted in Government, History and tagged Arkansas Supreme Court, Corydon M. Wassell, Henderson State University, Little Rock Central High School, Ruth May Wassell Gibb, Sam Wassell, Second Presbyterian Church, USS Little Rock by Scott. Bookmark the permalink.